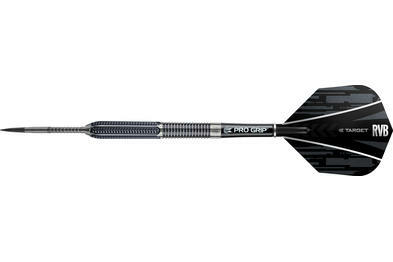 One of the most successful darts players in history, the first player to achieve a nine-dart finish in both the 2006 Premier League and the 2009 PDC World Championships. 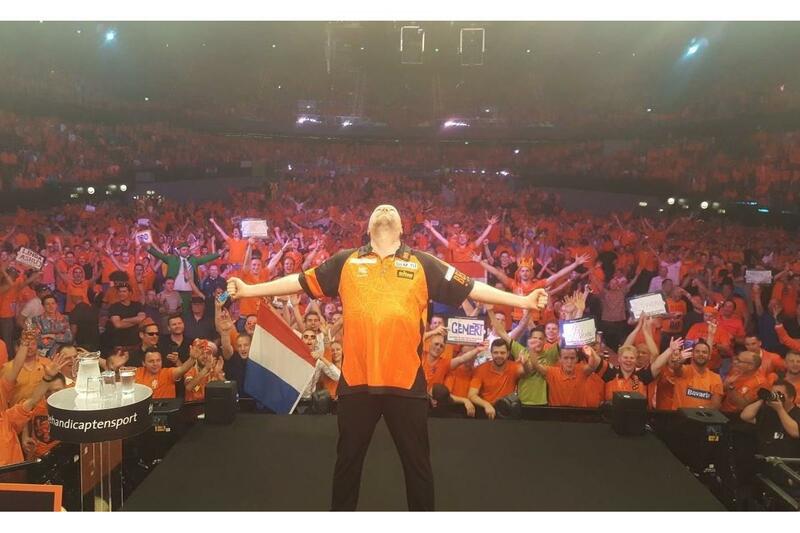 Former World No.1 and one of only 3 players in darts history to achieve 5 x World Championship titles. 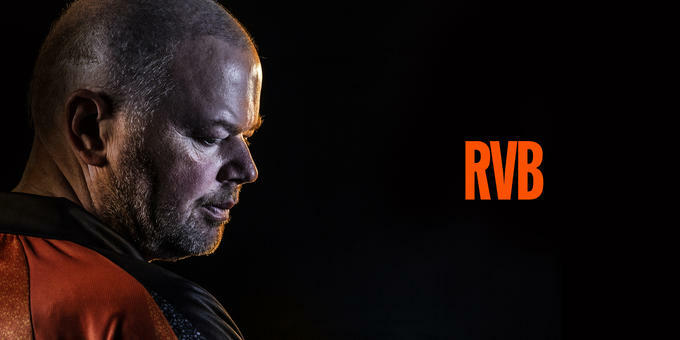 Introducing… Dutch Legend - Raymond Van Barneveld. Raymond joined us in 2017 in an exclusive partnership to create a product range that celebrates his spectacular career. 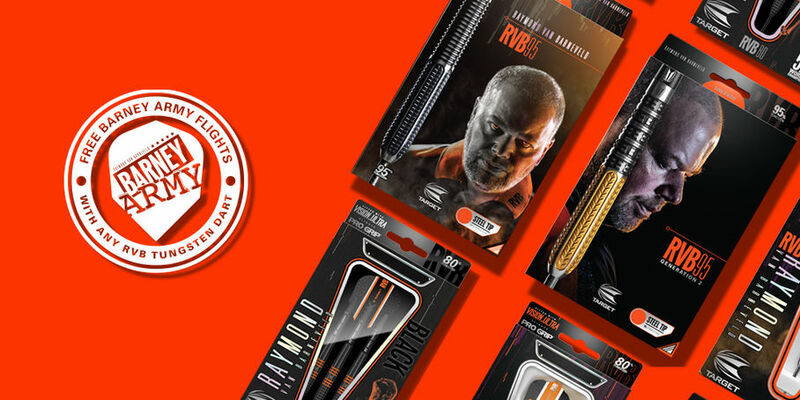 Working closely with our industry renowned design team, we produced the perfect darts to provide excellent results for Raymond's unique throw. The 2019 Barney Army shirt, which Raymond debuted during last night's Premier League was designed directly with RVB. 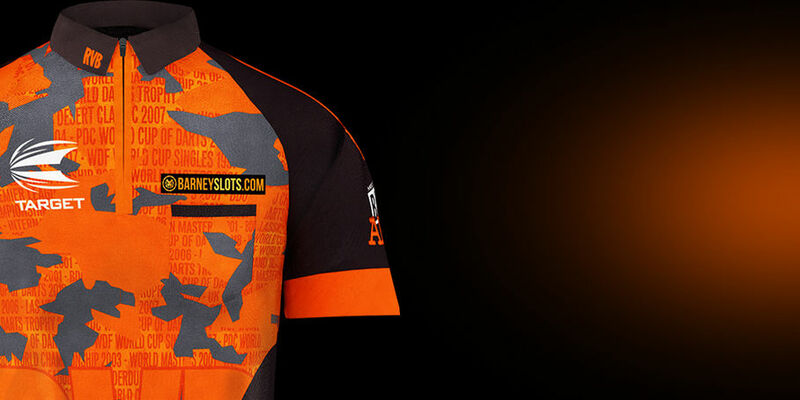 The Barney Army shirt has been designed in an orange camouflage print and is a celebration of Raymond's incredible journey and a thank you to his fans - the 'Barney Army'. 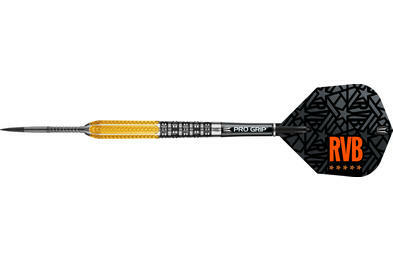 Are you a fan of Raymond Van Barneveld? 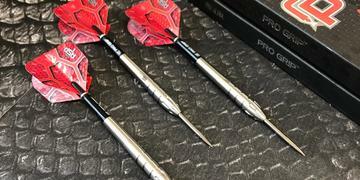 Do you want to receive darts advice from the man himself? 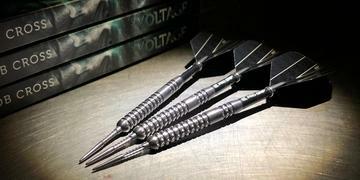 With every RVB Tungsten Dart set purchased you will receive a FREE set of the new Barney Army flights.